With this win, Southern Cal capped one of the most remarkable (and little noted) feats in bowl game history. 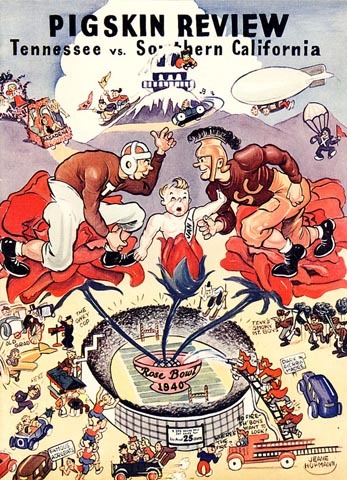 Two straight years the Trojans went to Pasadena, matched against two great southern teams---first Duke and then Tennessee---who were not only unbeaten, but untied and unscored upon. And beat them both. This game also broke a 23 game winning streak for the Volunteers which had extended back to 1937.